What can we expect to learn by Tuesday night or Wednesday morning? We might find out if Maryland is truly a one-party state. Or we might at least discover if Maryland is as Blue as both Democrats and Republicans pretend. Maybe the state is actually more like Purple. We could confirm that voters are totally disconnected from politics this year. Or we might decide that voters are simply disappointed, discouraged, or disgusted by elected leaders in the White House, Congress, and/or the State House. I’ll hedge my bets and guess that it’s all of the above. It’s entirely possible the results will be so muddled that only a soothsayer could interpret them. Four county executive races (going west to east): Frederick County, Howard County, Anne Arundel County, and Wicomico County. I give incumbent Rick Politt, a Democrat, the edge in Wicomico. If Politt and one other Democrat win, it will provide no new information. If Democrats or Republicans win any three of the four county executive contests, it’s a hint about political trends in the state. If one party wins all four of the above executive races, it would be something of a surprise. Watch the State Senate contests. If Republicans can pick up more than one or two Maryland Senate seats, it might be meaningful. Watch the House of Delegates races in four counties. Montgomery, Prince George’s, Baltimore, and Charles. If Republicans pick up three or more delegate seats in those four counties, it’s a sign that Democrats are in trouble. If Republicans add more than five delegate seats statewide, it’s big trouble. And on the Eastern Shore, watch one district in particular, District 38, which supposedly tilts decidedly Republican. If Democrats and Republicans each win two of the four legislative seats at stake in District 38, it’s the status quo. 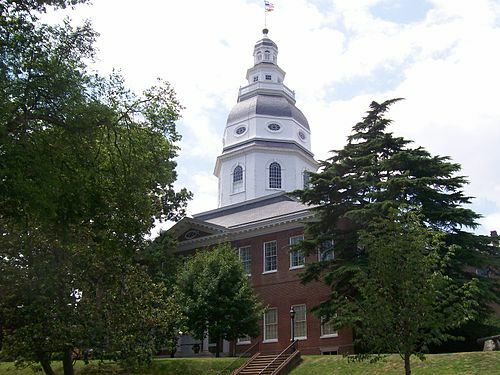 If Democrats win all four seats in the district, it could be the first sign of a Democratic resurgence on the Eastern Shore. If Republicans win all four seats, it would be a Democratic disaster, virtually eliminating the Democratic Party on the Shore, except for the cities of Salisbury and Cambridge. For a closer look at the District 38 contest between Sen. Jim Mathias and Del. Mike McDermott see Maryland On My Mind. Have I forgotten anything? Oh yeah, that pesky gubernatorial election. If no more than 1.5 or 2 percentage points separate Democrat Anthony Brown and Republican Larry Hogan at the end of election night, it’s at least a moral victory for Republicans. If Anthony Brown wins by five points, it proves only that Democrats can win in Maryland when Democratic voters turn out. If Larry Hogan wins by five or more, it would be surprising, with possible implications for the long-term. Whatever the margin in the Brown-Hogan contest, it will provide significant information only if it coincides with clear party trends in county executive races and/or General Assembly races. This entry was posted in Democracy, MARYLAND, News and tagged Anthony Brown, Election 2014, General Assembly, Larry Hogan by Editor (Retired). Bookmark the permalink.